Tickets are $22 in advance, $27 day of show (including all service charges). There are a very limited number of two-top tables available at $35 a seat. This is the only seating available in the club. 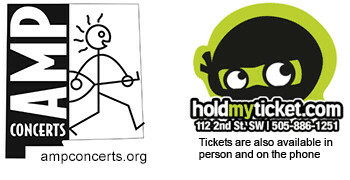 They are also available through Hold My Ticket (112 2nd St SW), 505-886-1251, Monday to Friday 9 AM - 6 PM, Sat & Sun 11 AM - 6 PM. 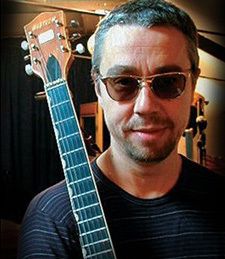 Karl Wallinger's [web site | Amazon.com] musical career took him to the heights of critical and commercial acclaim in the early 1990s. Born in born in Prestatyn, Wales, his formative years were spent listening to 60s rockers such as the Beatles, Bob Dylan and Love, as well as Motown and Merseybeat, all of which have echoes in the funky but folky-hippie soul pop songs he went on to make. After leaving school, Wallinger's first foray into the music business was in 1976 as a member of the group Quasimodo, who were much later to mutate into The Alarm. He moved to London in the late 1970s to work as a clerk for ATV/Northern Songs music publishing company, but soon he became musical director of "The Rocky Horror Show" in the West End. 1983 found him joining a funk band called The Out and then The Waterboys as a keyboard player. Wallinger left The Waterboys, along with his bandmates Guy Chambers and Chris Witten, in 1986, and worked on what would became World Party's debut album. Private Revolution was released in 1987, and was a minor hit. Breakthrough success came with the 1990 album Goodbye Jumbo, released after Wallinger had contributed to Sinead O'Connor's 1988 debut album The Lion And The Cobra. Goodbye Jumbo was commercially successful, spawning the hits "Message In The Box" and "Way Down Now," and becoming the very first Q magazine Album of the Year. The follow-up, Bang!, was another big commercial success, reaching number two in the UK album charts and charting with the singles "Is It Like Today" and "All I Gave." 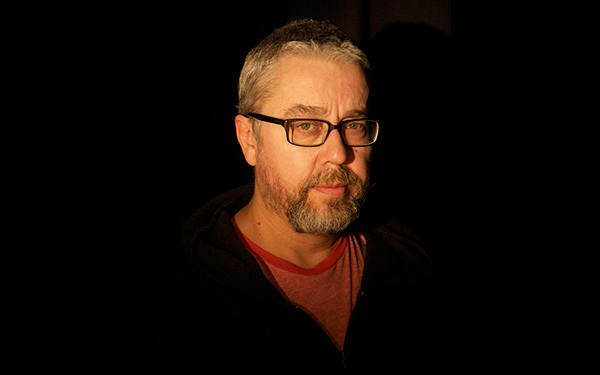 In 1994 Wallinger was the musical director for the film "Reality Bites" and also contributed to the soundtrack of 1996's "Clueless." In 2000 Dumbing Up was released, but after a short period of touring, disaster struck when Karl suffered an aneurysm, which effectively took him out of action for two years. In 2005, Wallinger decided to take World Party back on the road and into the public consciousness. Operating with his own label, Seaview, he has set about re-releasing his back catalogue in America. World Party has since played numerous festivals as well as London's Royal Albert Hall, supported Steely Dan in Australia, and released a five-CD collection called Arkeology. Gabriel Kelley will open the show. Kelley grew up in a community about 20 miles north of Athens, Georgia, "where people played old-time, pre-bluegrass music," he says. "I learned to play guitar at these pickings, in a big circle around a fire." 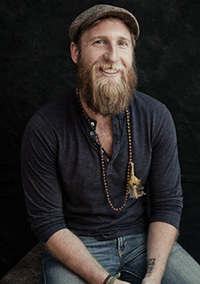 Kelley's close-to-the-land Georgia background and affinity for telling it like it is, simply and directly, inform both the music and sentiments throughout his 2012 debut album, It Don't Come Easy, described as "powerfully emotive" by No Depression, which added: "Trust me... a star is born here." Kelley describes his new release, Lighter Shades of Blue, as "a collection of acoustic tunes I have written, inspired by days traveling from place to place." This time around, Kelley hopes to "focus on the simple heart of the tunes, and let them speak with gentle, appropriate arrangement and musical support."